Are you a new customer of Office 365? We’re released a series of new benefits that you may want to engage to kick off your deployment in the right way. Take advantage of Microsoft’s email migration service or receive funds to reimburse your partner for qualified adoption activities. Offer available until 31 March 2015. 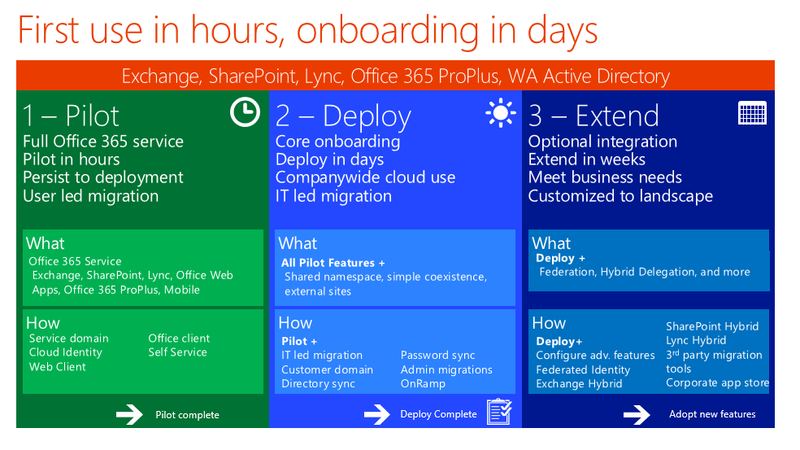 New to Office 365 or looking for ways to boost adoption? The Office 365 Customer Success Center has everything you need to get started.